A studio sample Complete Album Set Acrylic Prestige, as pictured above, can be the difference between thousands in profit and a break-even client. Imagine the following: your car is on it’s last leg and you managed to squirrel away a few dollars and so are in the market for a new car. You have a friend who seems to know a guy and he gives you the name and address of the dealership. Excited to have a lead you block out your weekend (OK, sorry, weekday ;) and investigate. As you pull up to the dealership it seems rather typical: that usual, spacious glass building looms on the property; its not a huge lot, but big enough, only – where are the cars? OK, OK you figure they must be in the back, or inside and so proceed. You park your car, walk in the building and again are a little confused. Despite it’s large size it’s empty! Well, empty save for a business desk squarely in the center. A man in a suit greets you and invites to have a seat at his desk. “Uh, I don’t mean to be rude – but where?,” you ask skeptically. This might not be the most effective sales method for cars, or albums. Especially for people new to albums altogether. Let’s be real: how many of you would walk away from that scenario with a new car? Why is buying an album any different? Spoiler alert: it’s not. When a client wants something as significant and precious as an album they want to have a rough feel of what they’re going to get. This doesn’t mean they have to have complete control of what you should offer them – no Ford dealership is going to sell you the latest BMW after all – but they need a feel of what you have. This is why having studio samples is essential. 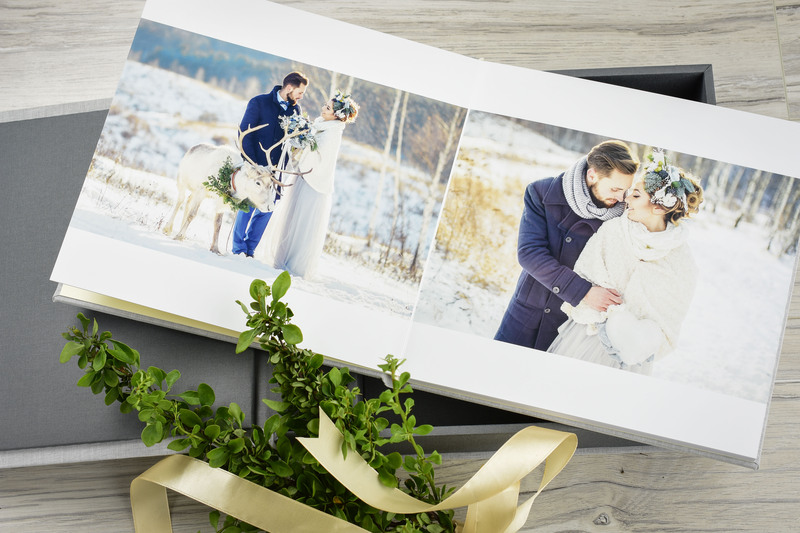 Furthermore, it’s important to remember, when most clients get to you – especially newlyweds buying a wedding album – it’s often their first experience in buying an album. In other words, they are completely ignorant to what the “world of albums” is like and it’s your job to introduce it to them and educate them about it. As your own sales person you should have a selection for them to feel and experience in that moment, and, hopefully, grow attached to before even thinking of walking out the door. Expecting them to simply be able to imagine that luxury feel, or high-quality print is not going to fly. Instead of the "Computer Method" try showing the newlyweds, and other clients, a tactile sample album in-person. Take myself as an example. I’ll be honest, before I started working at this company I didn’t really have any interaction with photo albums. So when I heard I was working for a company that sold photo albums my first thought was “Oh OK now how are these scrapbooks with slots for interchangeable photos going to sustain my salary?” Then I saw the prices for photo albums and was thinking this really is a joke. 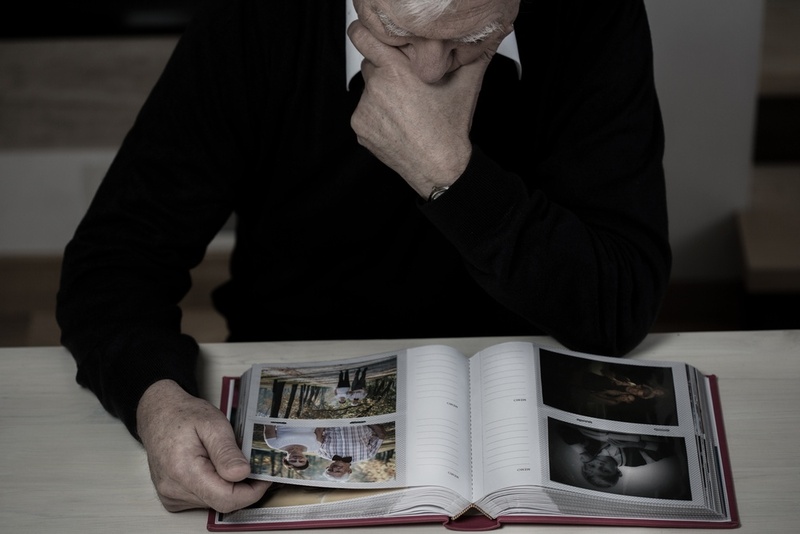 THEN I saw and felt in-person what a photo album REALLY is and not only was I convinced my financial future was secure, but wondered why they aren’t more money! I'm sure most first-time clients will have similar thoughts. Without a sample there is simply no sale. Now, for those of you thinking that albums aren’t necessary in the first place – fair enough, maybe they don’t fit in with your style, still; I encourage you to read Why You Should Sell, Promote, and Emphasize Photo Albums with an open mind and think if they might be worth including in your brand and business. 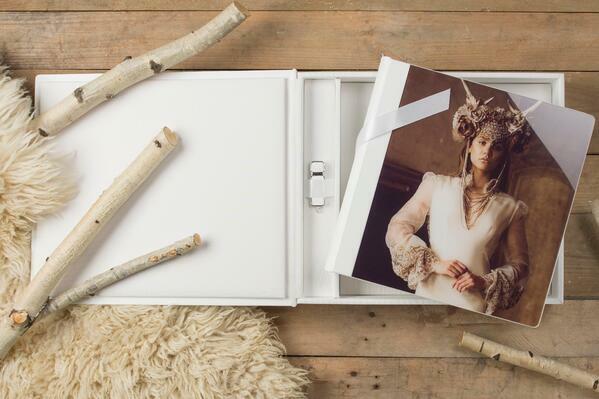 As just a bit of a teaser photo albums give you the potential to make the biggest profit. Most first-time clients will think of something like this when they hear "photo album". They won't know what a luxury album is. Without a sample, they'll scoff at the prices and demand a USB for nothing. In the same way most people won’t buy a new car without having a chance to see it on the lot or give it a test drive; or buy a new type of clothing – or shoe – from a new brand without trying it on first; you can’t expect your clients to buy things from you that you don’t have a sample of in your studio for them to experience first. In this way the rule is simple. Don’t go overboard, but have at least one sample in your studio for the products you really like and want to have represent you and your style. Also, again, don’t go too far as too much can be overwhelming, but if you do multiple types of photography among your samples try to cover each type. For example, if you’re an “all-types” photographer have a sample album with a wedding shoot, have a sample album with a newborn shoot, have a Folio Box with a boudoir shoot, etc for any and all styles you offer – this way any client that walks in will be able to specifically relate and imagine their order in one of your products. Often, it may even convince them to get something they didn’t plan on purchasing before entry. They may have left their house only planing on a digital package, but after seeing the nice display; had-to-have the print product(s) as well. Don't take it too far, but be diverse with your studio samples. They don't have to be limited to only albums. 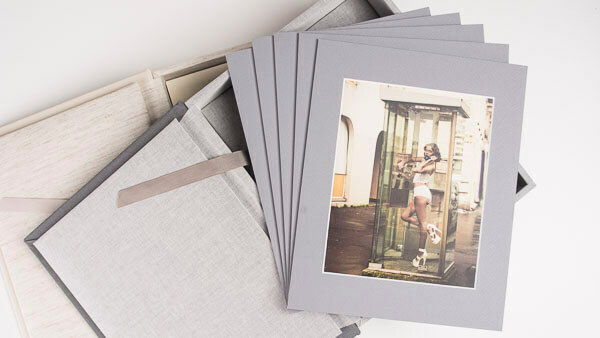 This Folio Box is the perfect complement to a studio and is ideal for portraits, boudoir, and glamour shoots. That is the ultimate point of studio samples, after all, isn’t it? It’s the same theory as the cars on the lot for car salesman: after that test drive you can’t imagine yourself without it. Get yourself some samples and have your clients realize they can’t be without your photo products. The old saying is Seeing is believing but in this day-and-age we are all capable of doing a lot of “seeing” without much substance. I can see a nice, new car on a computer screen, but that doesn’t mean I believe it’s sales description. Instead, I need to give it a test-drive; I need to feel it. That’s why the 21st century’s saying is: seeing isn’t believing, feeling is. Having studio samples that your clients can feel not only gives them first-hand experience with the photo product itself, but also envelopes them in the impressive power of your art. If you ask me that’s pretty important.